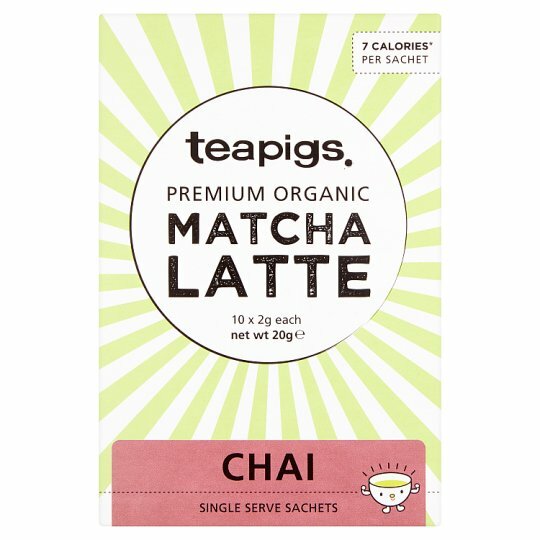 We've blended our premium matcha with all natural chai spices to give an indulgent spicy matcha drink, yum yum! 100% pure organic matcha and organic natural spices. Nothing added. Full 1g matcha serving in every sachet (daily dose!). * If drunk with milk calories per cup will be higher. 200ml of skimmed milk + matcha = 78 calories. Please store in a cool, dry place., Best before: See base of pack. Whisk vigorously into a small amount of hot milk. Top with hot frothy milk . Great with either dairy or non-dairy milks - your choice!